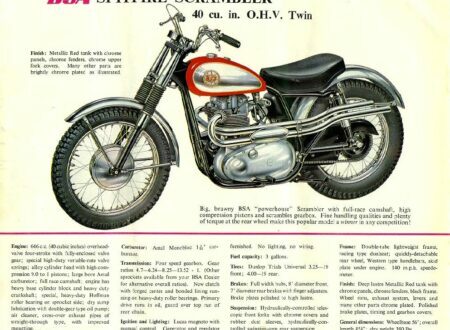 Old bikes like this BSA Spitfire Scramber always hold great appeal for me, given the choice of a modern, plastic-fairing covered dirt bike or this, I’d go BSA everytime. Sure, they might be heavier, less reliable, harder to start and harder to stop but bikes like this have a tangible personality. Some days they’ll be bastards and some days they’ll be saints, as far as I’m concerned, that’s half the fun.